Last edited by Sakkie; 2006/12/10 at 01:41 AM. Last edited by 280iNyati; 2006/12/13 at 09:53 PM. Of course not. 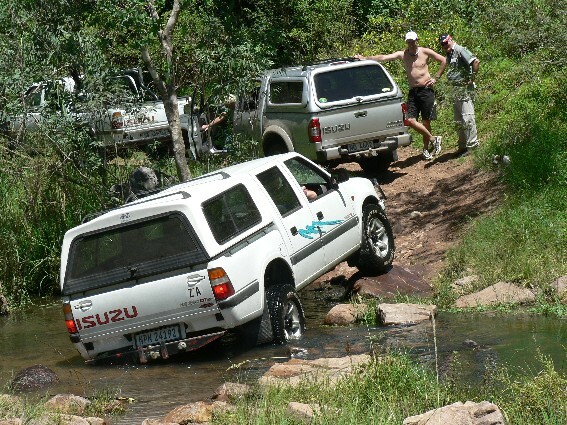 Just happens to be a couple of Isuzu nuts getting together every once in a while and all are members of the Isuzu Offroad Club. Frik's favourite saying? "If your heart's in the right place......."
We're going up Sani on the 30th, coming down another pass, can't remember the name . Meeting up in Himeville around 8am. Anybody interested PM me or just reply here. So far we are 4 Isuzus & 4 all sorts. The plan is to have a quick bite at "The highest Pub"